If you only knew how many times I’ve been asked . . .
I’m a musician. It comes with the territory, so I’ve discovered. My default answer? “I listen to music all the time. So when I don’t have to listen to music, I usually don’t.” Fellow musicians immediately disown me, and life moves on. Recently, I’ve been listening to more music. I’ll explain why. But first, it might help to understand my former approach to music-listening. 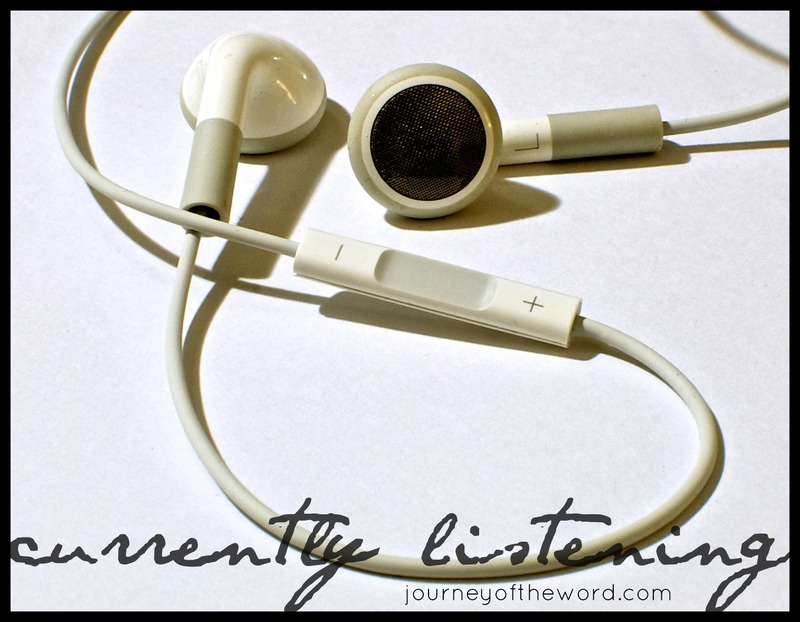 On the rare occasion that I listened to music, I listened to those songs of Christian expression. Music which pointed me to Christ and the cross. Music which reminded of the gospel. Music that set my mind on the Lord. Music that expressed the deepest cries of my heart. Music that so identified with my state, that it walked alongside me and lifted me. Why? I wasn’t some super-spiritual person. I didn’t have some extreme conviction. I simply wasn’t interested in any other music. That being said, my “current listening” has changed somewhat. You know those songs that are word-for-word Scripture? I used to think those were so 80’s. Lame, cheesy, or lame and cheesy. I am a child of the 80’s. I didn’t know it then, but those songs were a bit lacking, in my opinion, if you’re talking musical quality and style. An “A” for effort, but no. Thanks to gifted musicians of our day who have grasped the vision, we have the opportunity to enjoy Scripture songs which are pleasing and varied in style. “Yes” to quality, creativity, and relevance. Better yet, here’s what gripped me. Word-for-word Scripture songs are life-giving because their author is the Life Giver. I started losing interest in my old “current listening” list. Don’t get me wrong. God has gifted many Christian men and women with the ability to express the truths of the Redeemer and the longings of the redeemed to such a degree that my soul is so strengthened and my spirit so lifted when I sing or simply revel in the stillness and listen. Which is why I am amazed that the words of Scripture, unedited and unparaphrased, carry more weight and more power, as God-centered and Bible-based as other texts may be. But then, why am I amazed? Since you asked, my “current listening” consists almost entirely of word-for-word Scripture songs. Every now and then, I run into one that’s a bit cheesy. But somehow I rarely notice. The Word of my God has so captured me that I feed off it like a starved soul at a feast. Thanks to this new-found “genre,” commutes, and earbuds, I feast often. Curious about the word-for-word Scripture-song diet? Start here, here, here, and here. And stay tuned for more. New feature coming mid to late April. Wow. I love this. So well put. Thanks for sharing! You know, when I read the Psalms and I think about them being songs….some of them seem pretty awkward as well. Thank you for providing links with some suggestions, too!